The Torah (Bamidbar 15: 17-21) teaches that one must separate challa from the “first of your dough.” The Rishonim discuss the manner in which the dough is cooked or baked. Generally, when a sufficient quantity of dough is baked in an oven, one is obligated to separate challa. Even when dough is baked in a pan, one must separate challa (Shulchan Aruch YD 329:2). What about dough that is boiled? The Rash (Challah 1:5) rules that dough which is either baked in the sun or boiled is exempt from the obligation of challah. Rabbeinu Tam disagrees, and rules that one must separate challah from both baked and boiled dough. The Shulchan Arukh (YD 329:3-4) rules in accordance with the Rash. Therefore, one who kneads dough with the intention of boiling/frying it is exempt from taking challa. The Shakh (329:4) writes that one should preferably separate challa without a blessing, in deference to the opinion of Rabbeinu Tam. Thus, if one prepares an amount of dough that would ordinarily be obligated in challa in order to fry sufganiot, he should separate challa without a blessing. One must separate challa from dough which he intends to bake. Interestingly, the debate cited above is also relevant to another question: which blessing is recited before eating sufganiot? The Rema (168:13) reports that “it is customary to be lenient” (nahagu lehakel). It is therefore customary to say Borei Minei Mezonos before eating boiled or deep-fried breads, such as doughnuts and sufganiot. If one eats sufganiot during a meal, then one certainly does not say another blessing over them. However, if suganiot are eaten at the end of the meal for enjoyment, as dessert, then seemingly one should say the Mezonos blessing before eating them. May One Make Dairy Sufganiot? The Talmud (Pesachim 36b) teaches that one is not permitted to knead or bake dairy bread, lest one come to eat the bread with meat, unless it is made “ke’en tura” (like an oxen’s eye). The Shulchan Aruch (YD 97) cites both opinions. Therefore, since sufganiot are noticeably different than bread, and it is not customary to eat them with meat, one may prepare dairy sufganiot. Furthermore, the Pischei Teshuva (YD 97:3) cites the Maharit, who rules cookies and cakes that are generally eaten after meat may be dairy. Interestingly, the Chief Rabbinate of Israel requires that dairy filling be seen from the outside of doughnut and that the dough should not be made with milk. Are sufganiot subject to the laws of pas akum and/or bishul akum, which prohibit certain foods cooked or baked by non-Jews? This question is especially significant, as often, workers who fry sufganiot in bakeries are not Jewish. The Talmud (Avoda Zara 35) teaches that the Rabbis prohibited pas akum (bread baked by non-Jews) and bishul akum (food cooked by non-Jews). It is customary to be lenient regarding commercially prepared pas akum. Even those who wish to be stringent assume that minimal Jewish involvement in the baking of the bread, even simply lighting the oven or throwing a twig into the fire (hashlachas kisam) renders the bread pas yisrael (see Shulchan Aruch 112:9). Regarding bishul akum, the Talmud explains that food which is cooked by non-Jews, bishul akum, is prohibited in certain circumstances. The gemara limits this prohibition to food that cannot be eaten raw and food that can “be served on the tables of kings.” Furthermore, the Rishonim debate whether the leniencies applied to pas akum, i.e., how it is cooked, are relevant to bishul akum as well. The Shulchan Aruch (YD 113:17) rules stringently and only permits food which a Jew played a significant role in its cooking. The Rema disagrees and rules that even if a Jew merely lit the fire, the food is kosher. 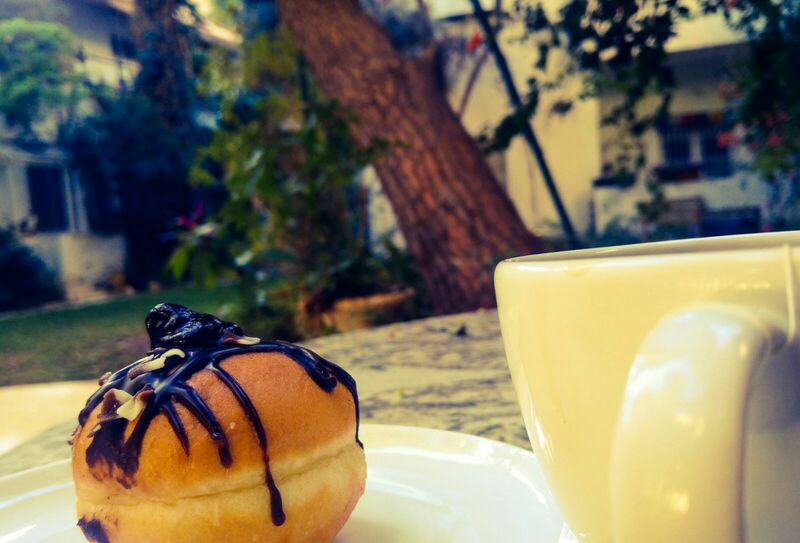 Are sufganiot considered to be pas akum or bishul akum? If they are considered to be pat akum, then we may forgo Jewish involvement in the cooking process altogether. However, if we consider them to be subject to bishul akum, then Ashkenazim would require that a Jew light the fire each day, and Sephardim might require that the sufganiot be fried by a Jew! Ovadia Yosef (Yechaveh Da’as 5:53) suggests that since the Rishonimdebate whether or not a boiled or fried dough is considered to be “lechem,” regarding the rabbinic prohibition of bishul akum, one may be lenient and treat them as bread, which is not subject to the concern (see Rema 113:11). In addition, some suggest that sufganiot may not be considered to be “oleh al shulchan melachim” (fit to be served to a king), and therefore the laws of bishul akum do not apply. The Tur (670) cites the custom of women to refrain from melacha while the neros Chanuka are burning. While some criticized this custom (see Chakham Tzvi 87), other Acharonim approvingly record the custom for women to refrain from melacha. The Sefer Chassidim (121) even suggests that men should also refrain from work. The common custom is for women to refrain from labors prohibited on Chol HaMo’ed (such as laundry and sewing) for the first half-hour after the candles are lit. There are different customs regarding whether woman refrain from cooking (and frying) during this time. It is worth noting one final point regarding the consumption of sufganiot. The Talmud (Berachos 32b; see also Levush, YD 116) derives from the verse (Devarim 4:15), “venishmartem me’od lenafshoseichem” (“you shall guard yourselves exceedingly”) that one must take good care of one’s health. Since each sufgania, deep fried in oil, has approximately 500 calories, every person should consider whether or not a sufgania, or how many sufganiot, may endanger one’s health.